Excited at the prospect of using Flip Ultra and Flip Mino cameras and uploading the video via Podcast Producer, I was disappointed to discover that both Flip cameras wrap their video in AVI files, and use the 3ivx codec, effectively thwarting my Podcast Producer plans. Videos uploaded via the Podcast Capture utility resulted in audio-only posts to the wiki/blog server. That highlights one common complaint I’ve made and heard about Podcast Producer — that it demonstrates it’s heritage with a decided bias for Apple-endorsed wrappers and codecs (read: QuickTime). 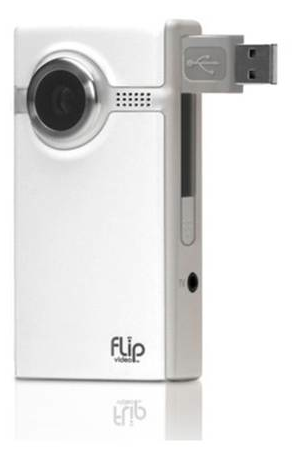 In my quest to use these fantastic(ly inexpensive-but-handy) Flip video cameras, I recently found out that simply adding a QuickTime plugin to Mac OS X 10.5 server provides the capability to transcode far more file formats and encodings than the stock installation of Podcast Producer allows: AVI, FLV, 3ivx, DivX, MS-MPEG4 v1 & v2, Flash Video, Indeo 1 & 2, to name a few! Second, open the disk image. 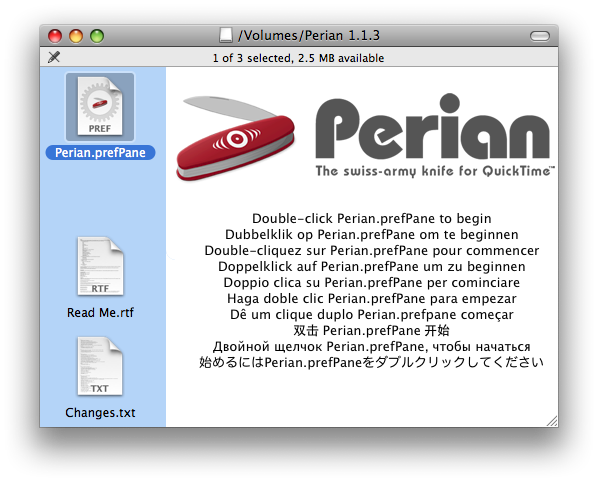 Third, double click the Perian.prefpane icon in the disk image window. 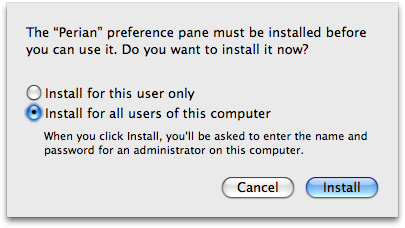 IMPORTANT: Make sure you install for all users of the computer. This is because the Podcast Producer service runs as its own user. If you do not, it *will not* work for Podcast Producer. 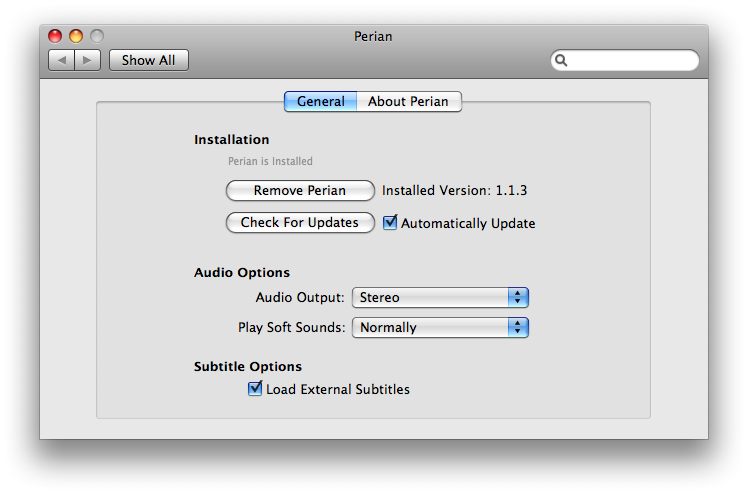 Finally, confirm that the preference pane indicates and “Installed Version #.#.#”, and set the Audio Output to “Stereo”. This entry was posted in Front Page, How-To, Technology and tagged Mac OS X Server, Podcast Producer, QuickTime by Chris Brewer. Bookmark the permalink.